This could be the most portable charger among your devices. Charging on the go can mean carrying a power bank and a tangle of cords, especially if you tend to carry all your devices. 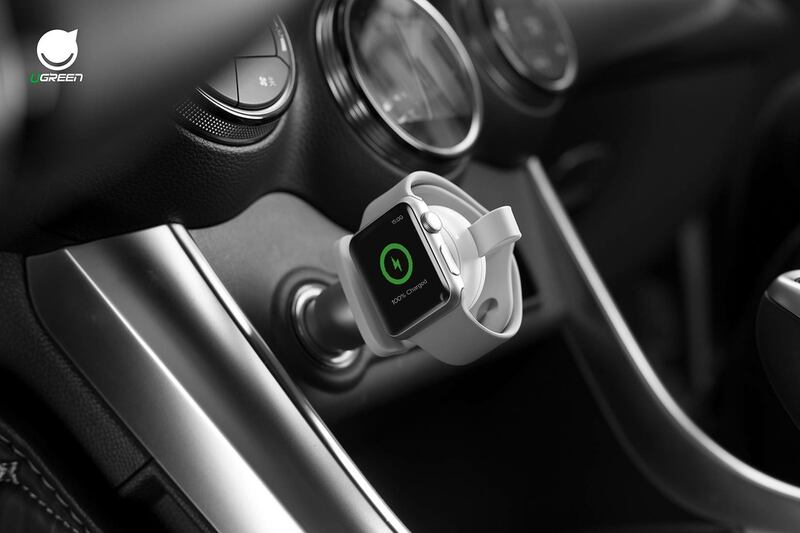 Tech accessory company Ugreen has a charger for the Apple Watch that’s cordless and no bigger than the watch itself. 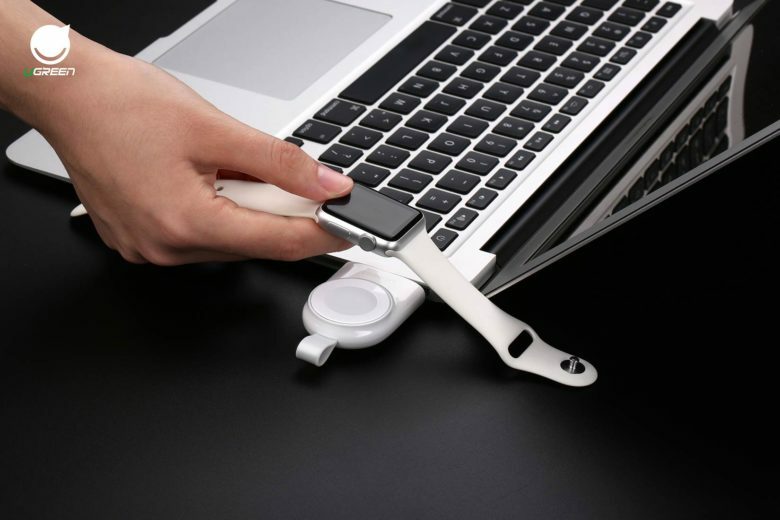 The portable, MFi-certified Apple Watch charger comes with a USB plug that can connect to the side of older MacBook Pro models or charging bricks. Ugreen has a USB-C version due out in May, so if newer MacBook users can’t wait, they can plug it into a hub or wall charger. Ugreen has been around since 2009, offering a variety of cables, converters, adapters and home charging solutions. Its designs are always sharp and integrate nicely with those pretty Apple devices. The newest Apple Watch charger is about the size of a pack of Tic Tacs, with a lanyard design to make it easy to hang on a bag or loop through a keychain. It is compatible with all series of Apple Watches. Works with any USB port. Its 5-volt, 1-amp output charges a completely empty Apple Watch battery in about two hours. The charger is also equipped with over-current, over-voltage, short circuit and overheating protections. It is available from Amazon for $40.99.